Item # 316972 Stash Points: 8,995 (?) This is the number of points you get in The Zumiez Stash for purchasing this item. Stash points are redeemable for exclusive rewards only available to Zumiez Stash members. To redeem your points check out the rewards catalog on thestash.zumiez.com. Pre-assembled and ready to ride, the Element Yang 7.87" Skateboard Complete is a perfect starting point for your skateboarding career. Element brand trucks offer a stable ride while abec 5 bearings keep you cruising more and pushing less. 52mm, 95a Element brand wheels help provide excellent grip and acceleration, while the overall mild concave is an ideally flat learning surface for learning all-kinds of tricks. 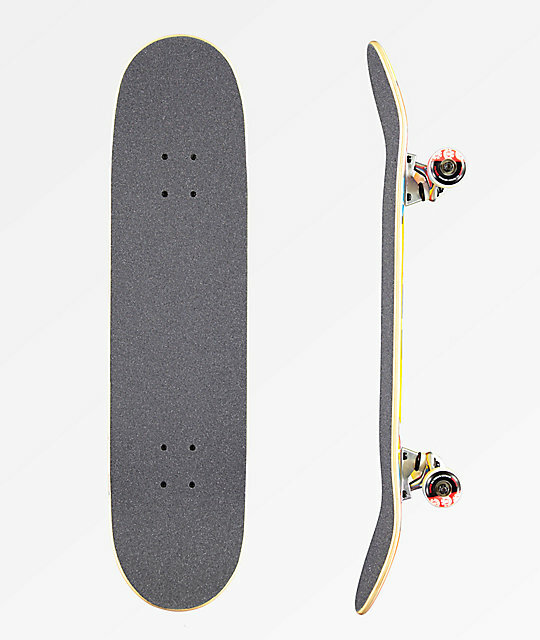 Yang 7.87" Skateboard Complete by Element. Slight concave, no wheel wells. 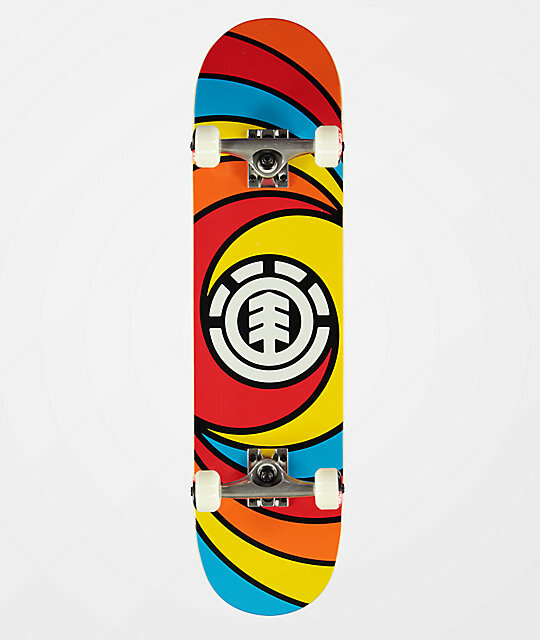 Element 52mm, 95a graphic wheels.